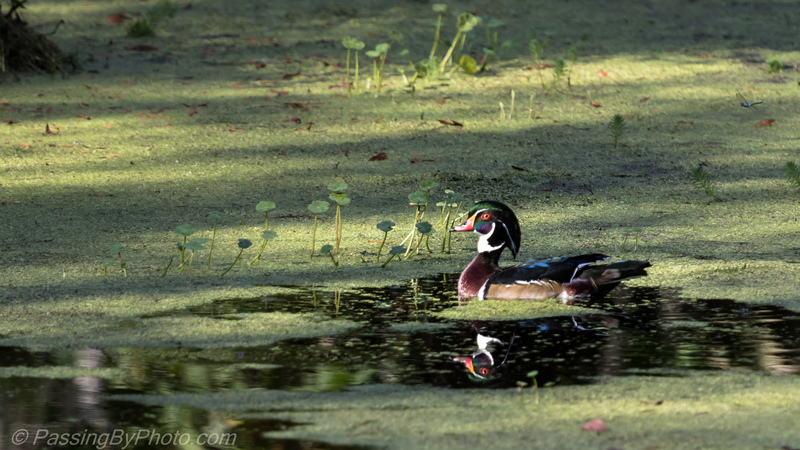 I didn’t expect to see a male Wood Duck in breeding plumage in September. This fellow was paddling back and forth in a small pond, looking around. 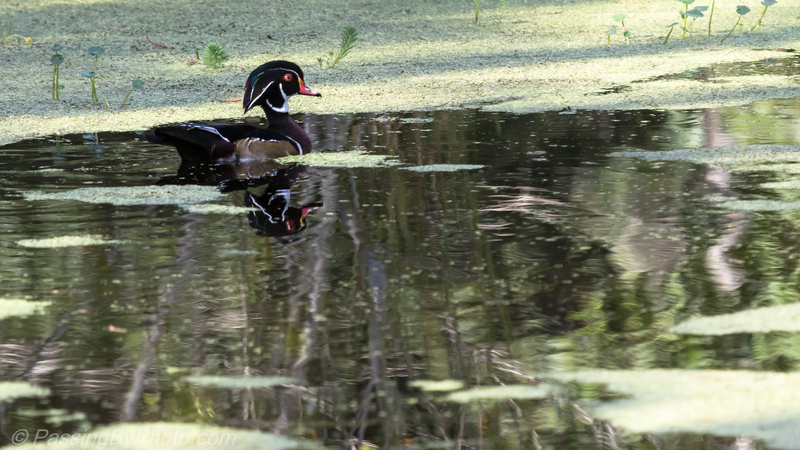 He very nicely showed off both sides and created a lovely reflection in the still water. This pond was cleared of invasive overgrowth over the summer and I’m hopeful more ducks will visit over the winter. 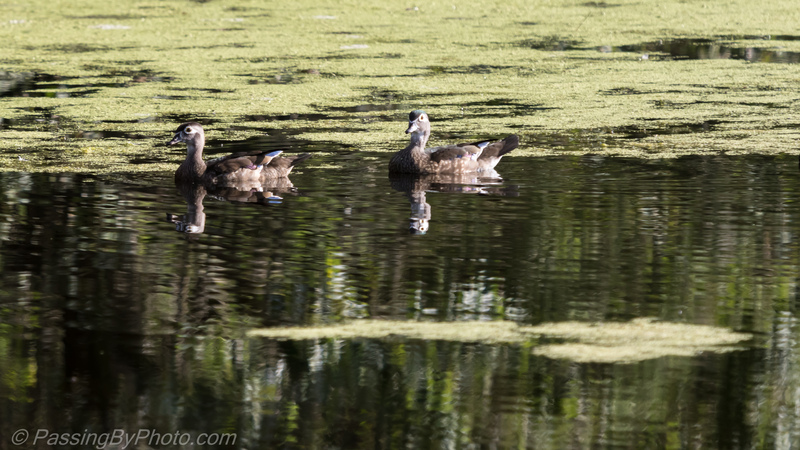 In another larger pond a short distance away a few females or juveniles were also just swimming around.